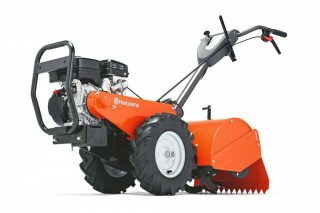 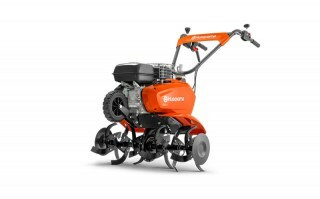 Powerful rear-tine tiller for home and landowners. 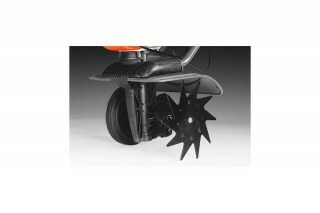 Highly effective for work on densely packed earth and older lawns. 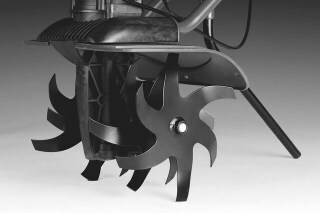 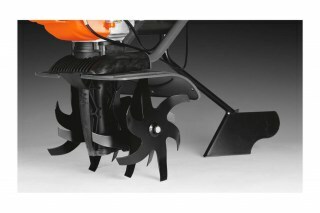 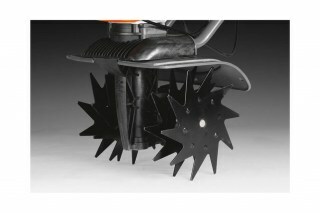 Large wheels with chevron tyres and counter-rotating tines provide superior access and broken up soil. 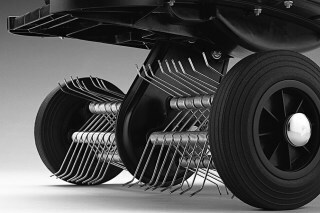 Chain drive on rotors and wheels, plus reverse gear. 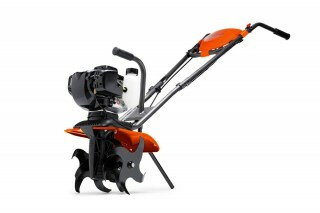 Handlebar height is adjustable for ergonomic operation.